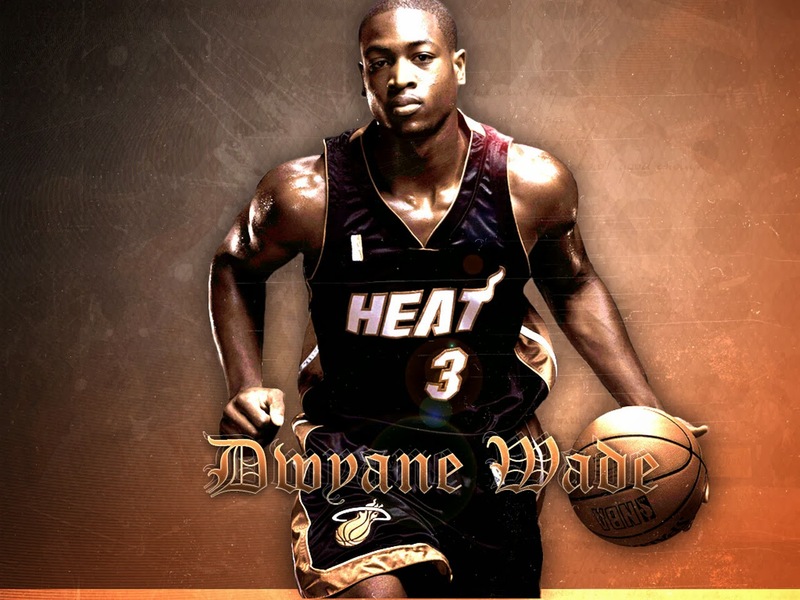 Dwyane Tyrone Wade, Jr. (born January 17, 1982), nicknamed Flash or D-Wade, is an American professional basketball player who currently plays for the Miami Heat of the NBA. 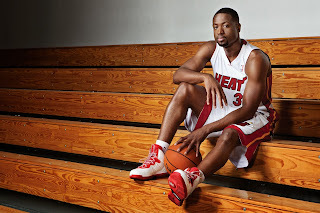 Named the 2006 Sportsman of the Year by Sports Illustrated, Wade has established himself as one of the most well-known and popular players in the league. He had the top selling jersey in the NBA for nearly two years, as he led the NBA in jersey sales from the 2005 NBA Playoffs, until the midpoint of the 2006-07 season. His first name is pronounced /dwɛɪn/, the same as the more common spellings "Duane" and "Dwayne". 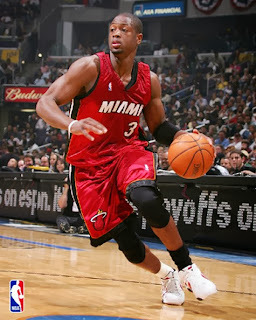 After entering the league as the fifth pick in the 2003 NBA Draft, Wade was named to the All-Rookie team and the All-Star team the following nine seasons. In his third season, Wade helped lead the Miami Heat to their first NBA championship in franchise history. 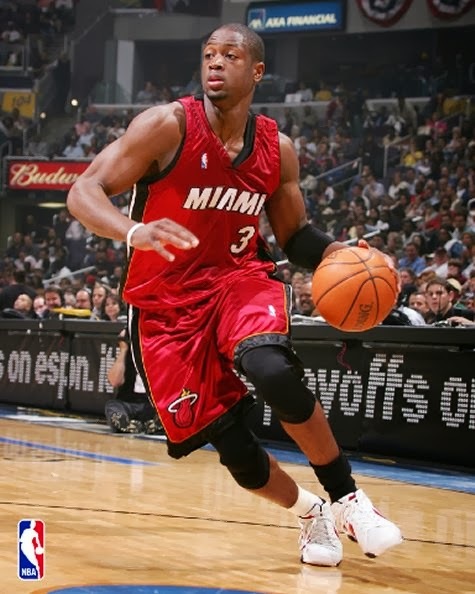 He was named the 2006 NBA Finals MVP as he helped lead the Heat to a 4-2 series win over the Dallas Mavericks. At the 2008 Summer Olympics, Wade led the United States men's basketball team, commonly known as the "Redeem Team", in scoring, as they captured gold medal honors in Beijing, China. 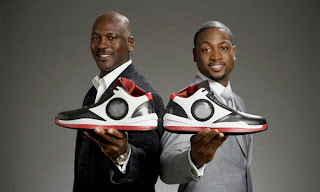 In the 2008-09 season, Wade led the league in scoring and earned his first NBA scoring title. He was part of Miami's second championship win in the 2012 NBA Finals, when Miami defeated the Oklahoma City Thunder. He won his third NBA championship in 2013, when the Heat defeated the San Antonio Spurs in the 2013 NBA Finals. During the off-season, Miami-Dade County commissioners voted unanimously to rename the county "Miami-Wade County" for one week from July 1-7, 2010 in Wade's honor and to try and convince Wade to stay in Miami and sign with the Heat. On July 7, it was announced that Wade would be re-signing with the Miami Heat, along with former Toronto Raptor Chris Bosh.